Malaga. Sun, beach, tapas,…sun, beach…sun…tapas…Hmmmm…What else is there to do in Malaga? Well, there is a lot more to do in Malaga and not just the typical tourist activities. Just to show you here is our list of things to do in Malaga. Cultural activities, places to visit, restaurants, bars, monuments…these are just a few of our favourite places in Malaga. 1. 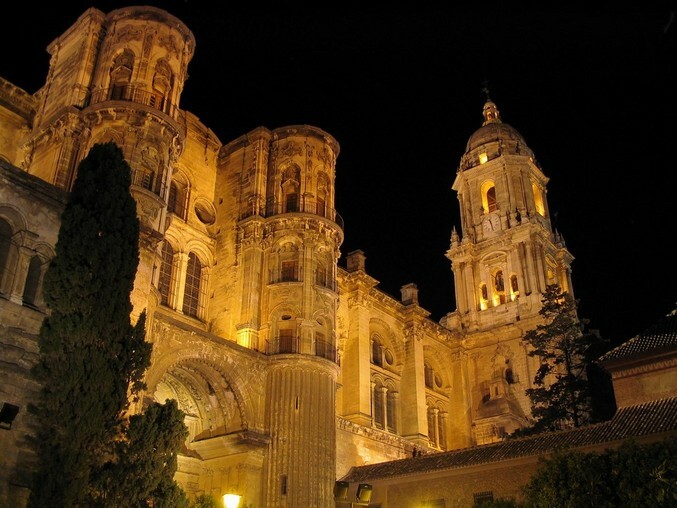 Visit the “Manquita”- Malaga Cathedral is a prime example of Andalusian baroque architecture. Due to the incomplete southern tower and main façade it is popularly known as “La Manquita”, which is Spanish for amputee. The Catholic Monarchs ordered the construction of the Cathedral and inside there are many sculptures and chapels of great interest. 2. Watch the sun set from Gibralfaro Castle- Gibralfaro Castle has evolved with the city over the centuries. Originally it was a Phoenician lighthouse but has mostly been used for military reasons. From the top the view of Malaga is superb especially at sunset. 3. 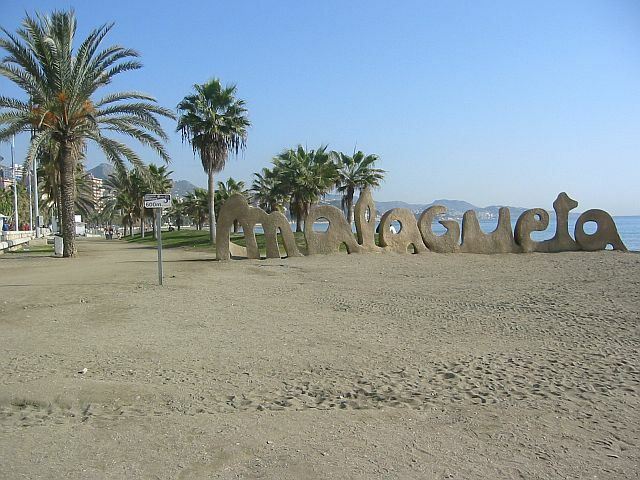 Hit Malagueta Beach- Of all the things to do in Malaga we’re sure lounging around and having a swim at Malagueta Beach is one of them. This is the best know of all the beaches in Malaga. 4. 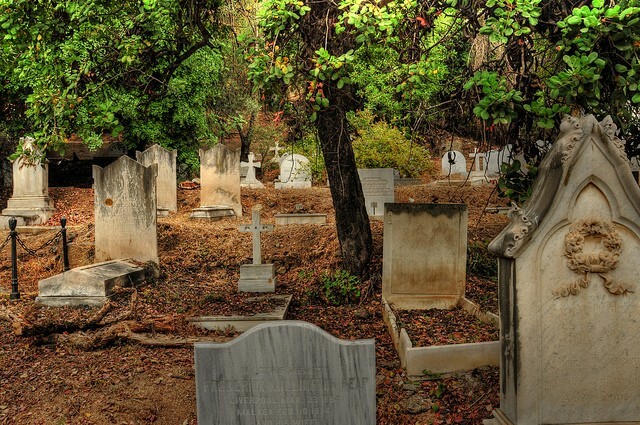 Visit the English Cemetery- The English Cemetery in Malaga was the first protestant cemetery in Spain. It is famous for the tombs decorated with shells. The graves of famous Malaga personalities Robert Boyd, Jorge Guillén and Gerald Brennan can be found here. 5. 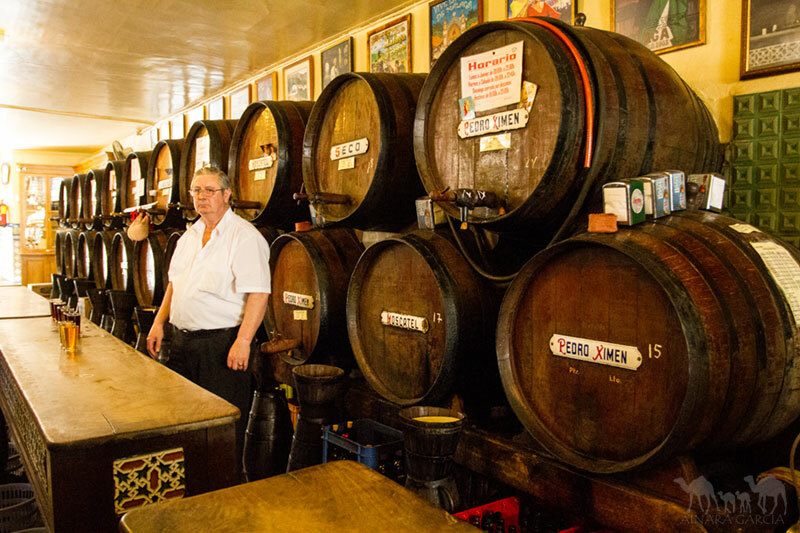 Drink wine at Malaga’s oldest bodega, Antigua Casa de Guardia- Open since 1840 it is an old fashioned bar where wine is drunk standing and the bill is written on the bar. Try some sweet wine like Pajarete or Pedro Ximenez, you can even try some vermouth. 6. Go shopping along Larios Street- Closed to traffic this street is the best known in Malaga and one of the best places to go shopping. 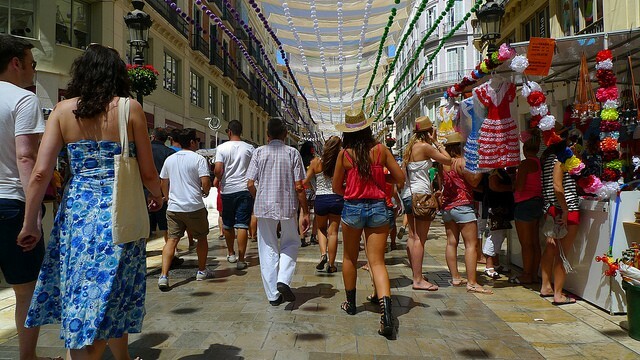 You casn find practically everything you need here: cafes, bars, shops, buskers…The Easter processions also pass through and it is the epicenter o the Malaga Fair in August. 7. 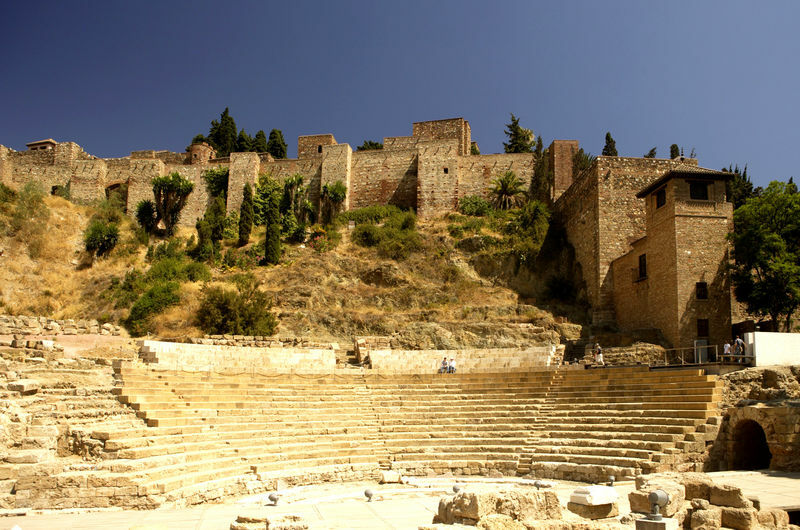 Visit the Roman Theatre- The Roman Theatre in Malaga is one of the most emblematic buildings in the city. Discovered in 1951 after having been buried for centuries it has been dated to the 1st century during the reign of Agustus Caeser. 8. Pay homage at the Santuario de la Victoria- The patron Saint of Malaga rests in this Baroque church. 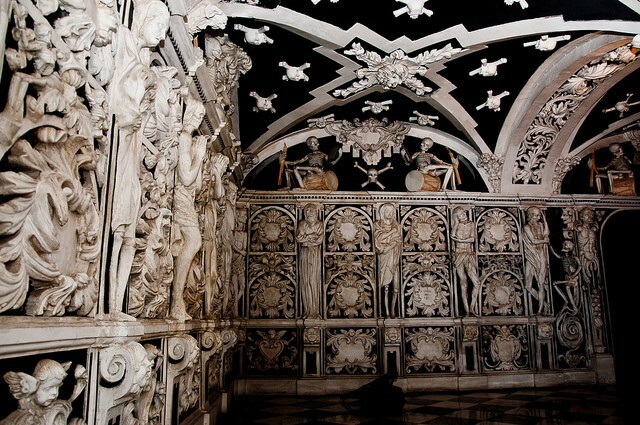 On the inside of the church it is well worth seeing the Alcove of the Virgin and the Crypt of the Counts of Buenavista, a moody pantheon the black walls of which are decorated with skeletons. 9. Pick up supplies at the Atarazanas Central Market- Built over an antique Muslim shipyard the Atarazanas is a spectacular iron and glass construction. Stalls selling vegetables, meat and seafood can be found in the interior. 10. 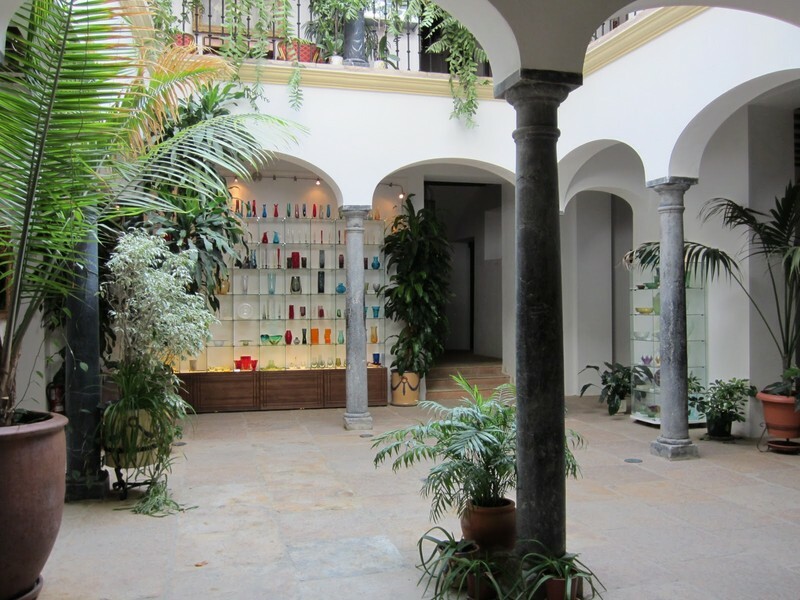 Pay a visit to Pablo Picasso’s House- You simply have to visit the Museo Casa Natal when in Malaga. He was born here in on the 25th of October, 1891. Today it is the headquarters of the Picasso Foundation and offers a small exhibition. 11. 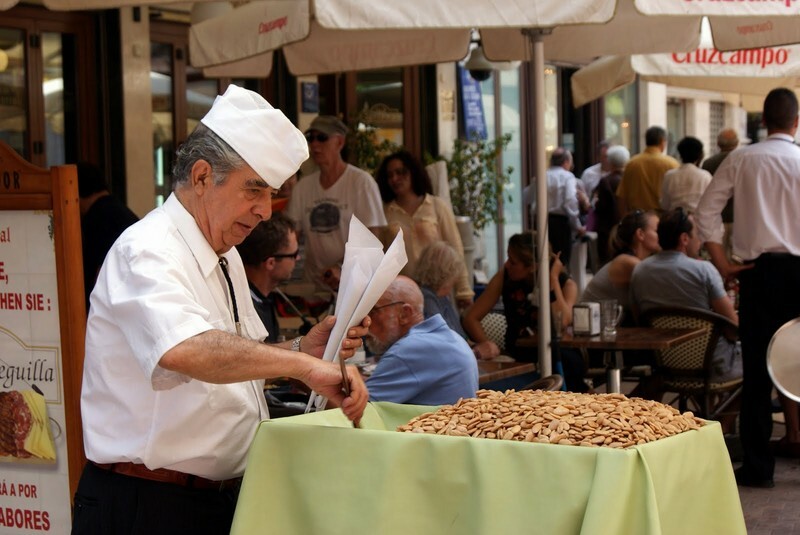 Eat Fried Almonds- In the centre of Malaga you’ll find many stalls selling fried salted almonds. One of the most famous is Pepe in the Plaza de la Constitucion. 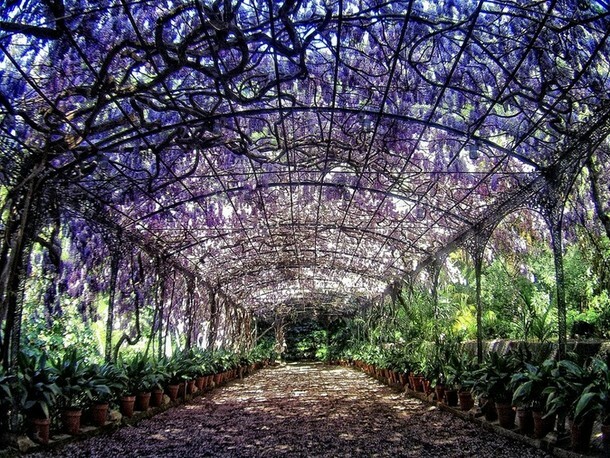 12.Wander around Malaga’s Botanic Garden- The Concepcion Botanic Garden is a Romantic garden full of winding paths, palms, tropical plants, lakes and streams. Over 100 years old it is high on the list of things to do in Malaga. 13. Eat sardines in Pedregalejo- No visit to Malaga is complete without going out for tapas and eating the famous skewered sardines. 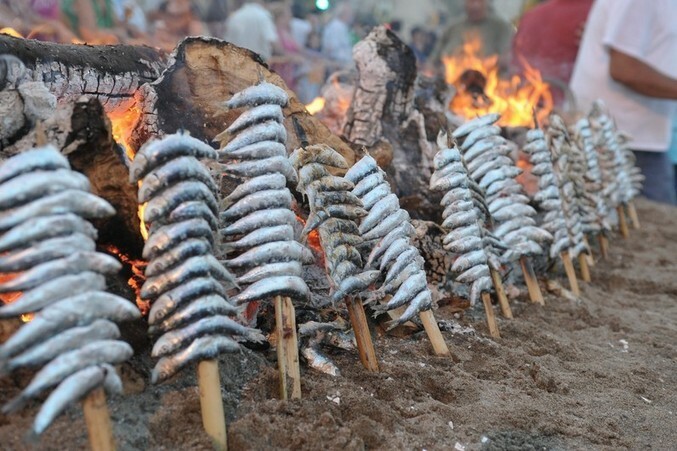 The most popular place to eat sardines, at least among the locals, is the fishermen’s neighbourhood of Pedregalejo where the sardines are cooked over coals. 14. Discover the Glass and Crystal Museum- Bringing together over 3000 pieces ,the privately owned collection of the Glass and Crystal Museum is a definite must see. 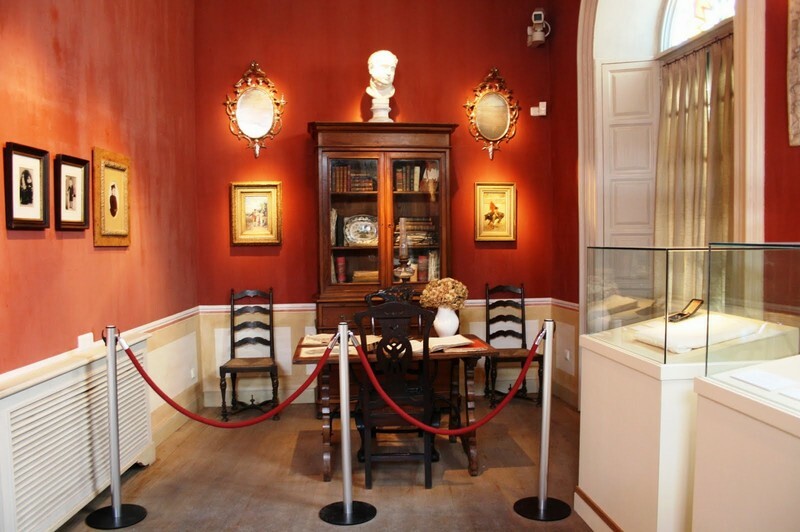 Housed in a magnificently restored 18th century mansion it is an interesting alternative to your typical museums. 15. 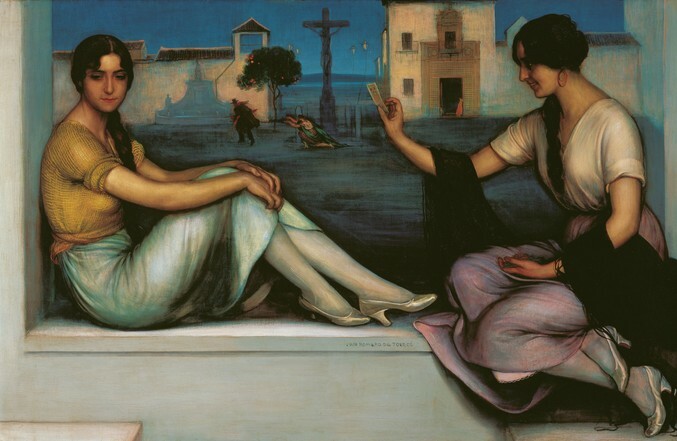 Soak up the art at the Thyssen Museum- The Carmen Thyssen Museum of Malaga possesses a unique collection centered around 19th century Spanish art. 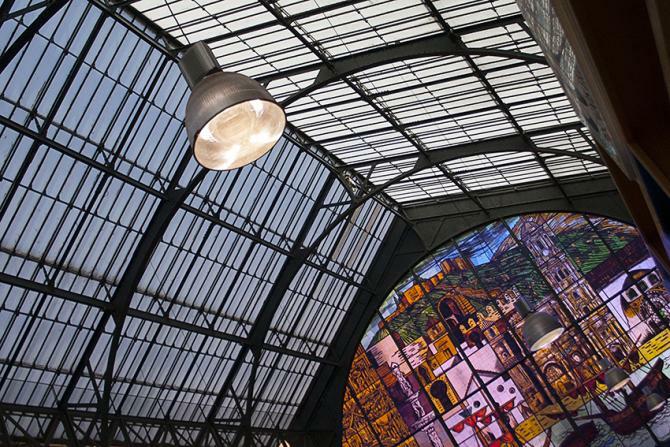 Expect to see works from Goya, Sorolla, Zurbaran and Casas. 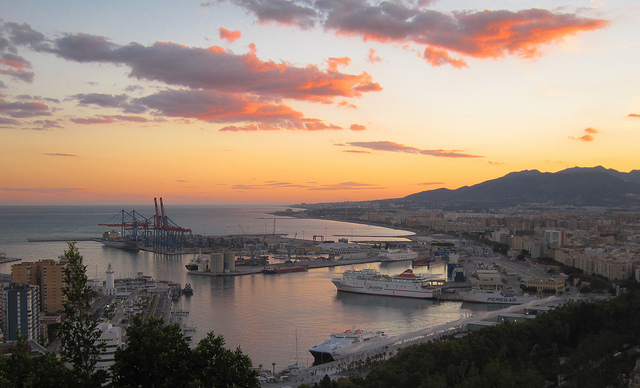 That brings to a close our list of 15 things to do in Malaga. It goes without saying, there is a lot more to do in Malaga but we’ll leave them until next time.